Dean Dodrill. That’s a name anyone interested in playing XBLA’s Summer of Arcade closer Dust: An Elysian Tail should know. An artist by trade, he decided he wanted to make a video game, all by himself. So he taught himself how to program. That was nearly three years ago. The road to release has been a long one, for sure, and I can’t imagine how difficult designing a game by yourself must have been. I’m happy to report that from the designer’s perspective, it was worth the effort, and from the consumer’s perspective, it was worth the wait. Dust is fantastic. Here is a game that tries so much, and executes on all those points flawlessly. You play as Dust, an amnesiac who wakes up in a seemingly foreign meadow at the start of the game. He is greeted there by Ahran (a talking sword) and Fidget (the not-very-imposing guardian of said sword). Together, the three of them need to help the people of many war-torn villages, while trying to piece together exactly who Dust was, and what his purpose is. The story all feels a bit rote, but the dialogue is written well, and the voice acting is stellar. The banter and fourth-wall breaking between Dust and Fidget is slight, but endlessly endearing. Dust is in many ways a designer’s perfect first game. It’s shockingly ambitious, and borrows a lot of concepts from other titles. In many ways, that method reminds me of Darksiders, but that game was nowhere near as polished and engaging as this one is. At its core, Dust is a combat heavy side-scroller, sort of like Symphony of the Night meets the fast-paced combo systems of a Devil May Cry. It’s a pretty basic two-button combat system, with juggles and drop attacks and magic. On paper, it seems relatively competent, but in practice, it’s something much greater. Dust is also a Metroid-style exploration game, with heaps of secret treasure locked away behind passages you need a specific ability to navigate. It has a grid-based map in that style as well, clearly showing you which screens have treasure, which have shops, and which have save points. It makes backtracking a delight. But perhaps backtracking for completion’s sake isn’t your cup of tea. What then? Dust is also an RPG, with 20 sidequests by my count, and a streamlined crafting system. Enemies drop materials when you kill them. There are 42 in total in the game. When you visit a shop, if you sell them the material, they’ll catalogue it, and whenever a store restocks, what you sold them restocks with it. You’ll also happen upon blueprints for items that can be equipped (augments for your sword, armor, and rings). With a blueprint, you can craft the corresponding item from your inventory screen, as long as you have the proper materials. Let’s say, then, that you simply want to play through the game and not worry about any of this stuff. You can. Dust also works as an entirely linear side-scroller; one that can be completed in about six hours. I spent ten hours with the game and collected about seventy-five percent of the treasure. If I wanted to (and I do), I could wring around two to three more hours out of the game. It is a slight disappointment that there is no New Game Plus mode, but the game alerts you to its point of no return, and gives you a save area immediately preceding it. There are minor quibbles to be had here. The game felt extremely easy for the first half, and then spiked in difficulty in my playthrough, though that may just be a cause of completing a lot of sidequests and over-levelling. I was once inexplicably booted from the game to the Xbox’s dashboard, a problem that never cropped up again. There is also some minor slowdown when achievements pop. It says something that I’ve reached the end of this review, and haven’t even spoken on the game’s illustrious art style, or it’s wonderful music, or it’s satisfying levelling system. Dust: An Elysian Tail is the best game of this year’s Summer of Arcade, and some of the most fun I’ve had all year. It is the rare first game from a new developer that is both a jack of all trades, and master of each. 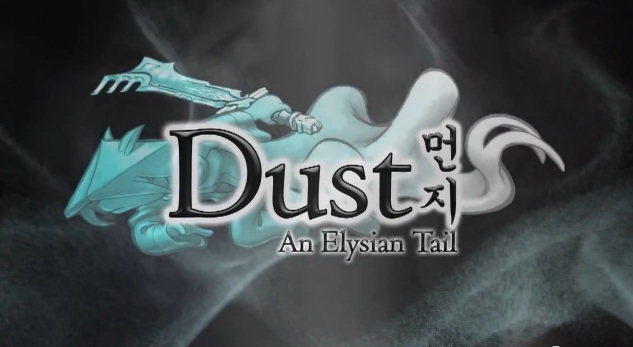 Dust: An Elysian Tail completely passed me by until a day or two after it was released. But man does the game look fantastic. The gameplay mechanics it borrowed from other games and harbors look flawless. Excited to pick this game up very soon. Great review Evan!